We have been a recommended source for preservation of vintage 8mm films throughout the United States for over 25 years. Films are captured, edited and digitally remastered using our flicker-free telecine system. We take pride in restoring, transferring and preserving family memories to be enjoy and shared once again. Films are often left behind and sit in a closet box waiting to be restored because they are easily forgotten or folks no longer have the equipment. 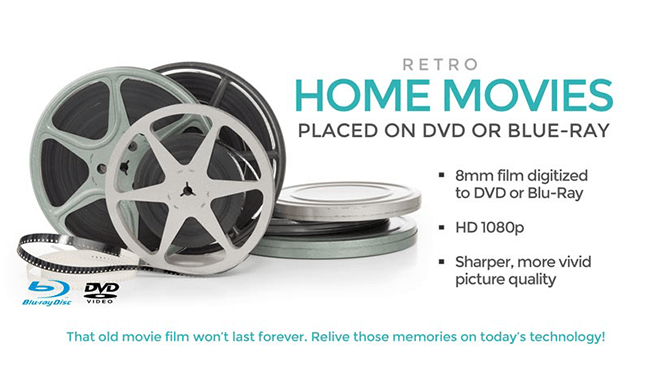 Deliver the film reels to our studio and you will discover an easy method of resurrecting your forgotten family memories. Not sure what you have because the films are unmarked? No fear! We'll provide you with a proof DVD and upon your review we'll make the appropriate changes and place the films in the correct order. It's that simple! Have more questions? Feel free to review our information provide on this website and once your ready we'll be glad to answer any additional questions. We love what we do and we look forward to serving you because at Via-Vision Video we make Treasured Moments Last! After transferring your films we will review and eliminate any dark and unnoticeable video. Blurry or poorly composed film is always kept. We will also attempt to brighten or darken scenes which are under or overexposed. We color correct areas which are over or under saturated with color. Different reasons can cause a film to look red or bluish in color including film type, developing chemicals or simply the age of the film. We attempt to balance and the colors to appear more uniform. Occasionally film cameras were not set properly and recorded at an incorrect speed causing films to appear too fast as they ran through the projector. We change the film speed to a normal setting. Film credits or titles are always nice to include before each film reel to describe the years and events. Titles are $2 each slide. We use a lubricant to clean and protect your films. Cleans dust particles, seals scratches and prevents further damage. Preserves your films by allowing the film to become flexible and not brittle. Allow your films to look their best before being transferred. 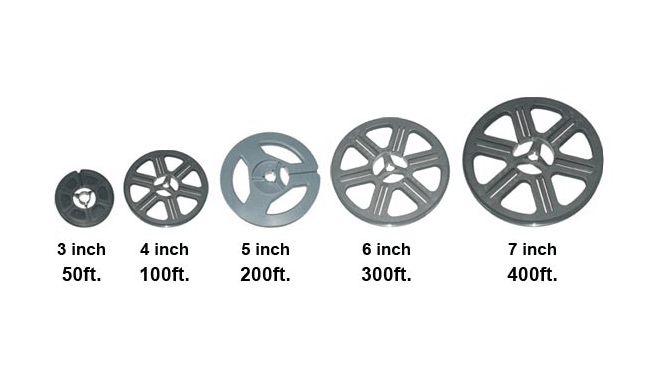 .10 cents per foot of film. Many folks decide to keep their films silent. However, if you decide to have instrumental royalty free music we will be glad to provide this added feature. The best part is it's FREE! Unfortunately the film editor decides which music selections. Each DVD is designed with a menu which you can PLAY ALL the films or you also have the option of selecting the REEL SELECTION menu and choose a particular reel. Each standard DVD comes with an interactive DVD menu, label and DVD album case. Films are transferred at 1080p High Definition. The films will appear square on your TV with two black pillars on each side. Viewable in Blu-ray players only.